A pleasurable, delicate, fruity and subtly dosed Champagne, it is the perfect accompaniment to any gourmet delight. 25% to 30% Chardonnay for elegance and finesse.15% to 20% Pinot Noir for structure. 50% Pinot Meunier for the fruitiness.Aged for a minimum of 3 years in cellars.TASTING NOTES: Appearance : Golden colour.Nose : Scents of dates and figs.Palate : Fruity aromas with floral and mineral notes. Since 1921, Maison Collet has been making characterful Champagnes with the aim of satisfying their clientele made up of exacting connoisseurs, who are looking for authenticity, elegance and great finesse from their Champagnes. Based in Aÿ in the heart of the Champagne region, Maison Collet focuses on supplying Premier and Grand Crus that reflect the diversity of the Champagne terroirs. 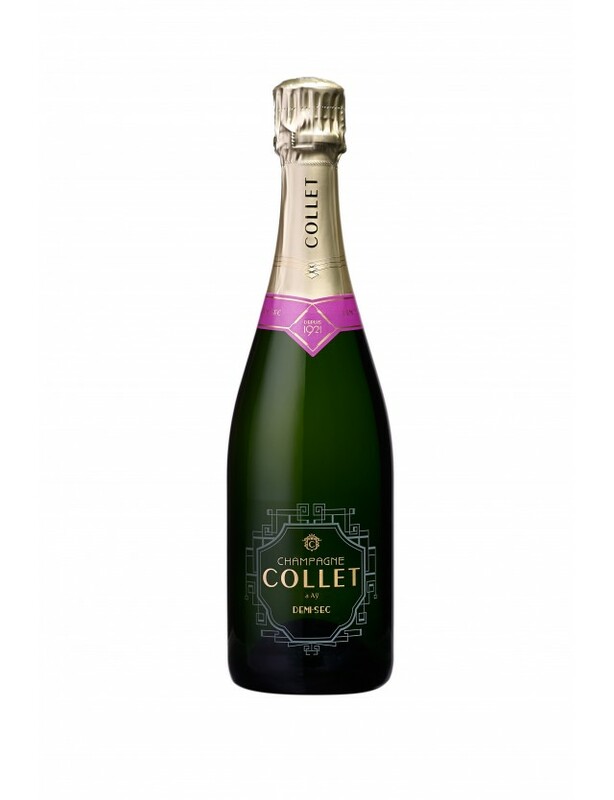 Champagne Collet is a gourmet wine, and every vintage has been developed to ensure it marries perfectly with every occasion, from aperitif to the finest dishes.